MATREX designs, manufactures and installs airport Baggage Handling Systems (BHS) and passenger-processing equipment. MATREX helps passengers and their bags to make the journey through the airport and onto the plane as easy as possible, while passing through all the sorting and screening stages necessary for the smooth functioning of an airport. All equipment for handling baggage and passenger processing is based on tried and tested standards developed by MATREX over many years. Equipment can be adapted to the specific environment in order to ensure comfort and security for passengers and optimal working conditions for airport personnel. Some companies have less or more restrictive criteria depending on the type of airline ticket bought. Bags are then transported on a belt conveyor in a timed sequence to facilitate their passage through X-ray screening machines. 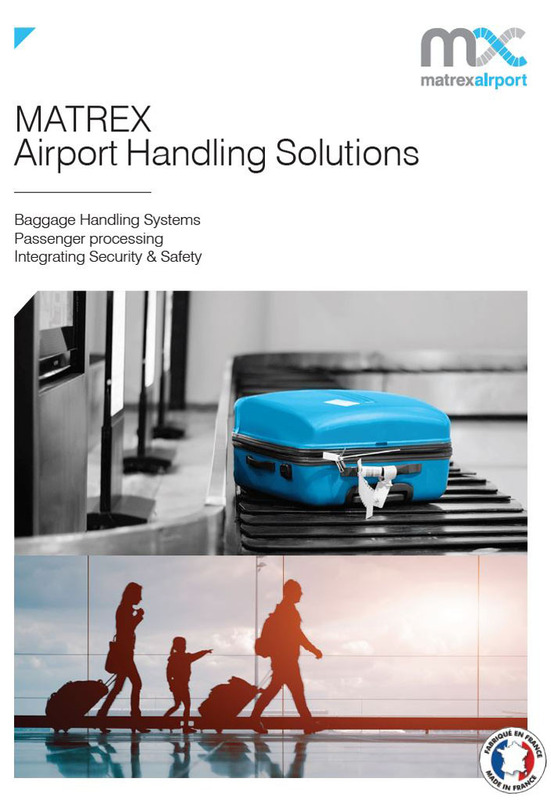 MATREX designs baggage-handling solutions in accordance with latest international safety and security regulations. 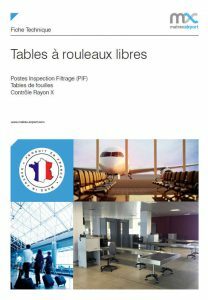 In regional airports, immediately after being screened and cleared bags are transported on a make-up carousel (manual sorting) or on a simple baggage belt conveyor. In airports that handle large baggage volumes, bags are transported on latest automatic sorting baggage carousels. Our horizontal belt diverter (shaft or pusher) transfert baggage at sustained throughput rates of up to 2,500 bags per hour (bph). For transfer baggage or for hubs that require specific processing times, MATREX provides equipment for collecting hold baggage : accurollers. 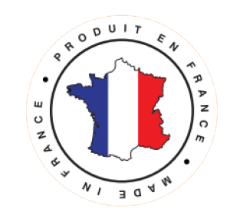 This solution optimises the working and waiting times of baggage handlers.